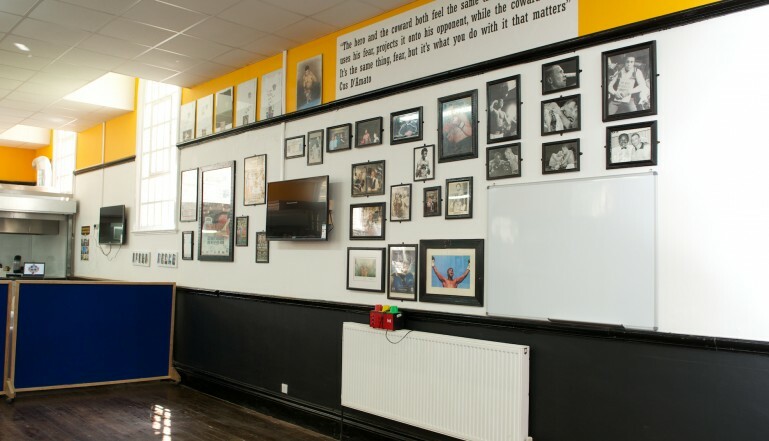 Home » News & Events » News » Stelrad helps put the punch back in Hull Boxing Club! 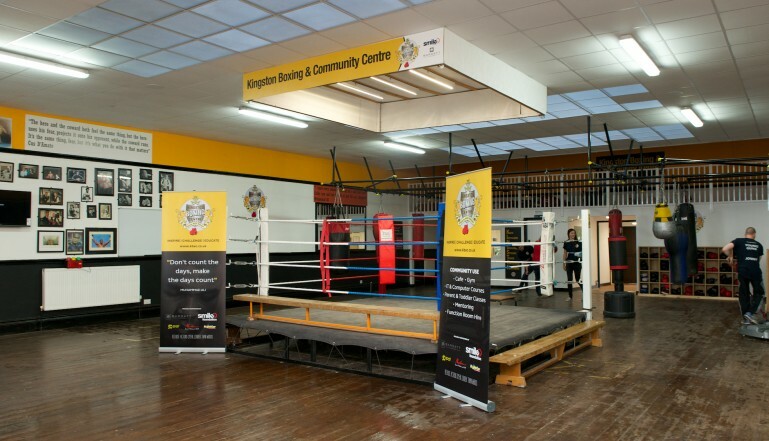 Stelrad helps put the punch back in Hull Boxing Club! Leading radiator manufacturer Stelrad was one of several companies that have recently contributed to the total transformation of the Kingston Amateur Boxing Club, in Hessle, turning it into both a successful boxing club for local young people and a Community Hub that can be utilised by the old and the young in that area of Hull. The drivers of the scheme were the Yorkshire East “Young Guns”, a voluntary group drawn predominantly from young employees at Barratt Homes and David Wilson Homes. The refurbishment required to turn it from a fairly tired building into a bright, attractive and well used new community facility saw new changing facilities, showers, a disabled toilet, a café area and rear outdoor seating space as well as redecoration, new signage and an enhanced heating system – which is where Stelrad came in. Working with a small budget courtesy of local charity, the Smile Foundation, the Young Guns managed to deliver an estimated value of in excess of £80,000 worth of refurbishment work at the centre. The activity has been welcomed by local Labour MP and former Home Secretary Alan Johnson who performed the official re-opening ceremony towards the end of 2014 by ringing the ‘end of round’ bell ten times! The refurbishment on the Grade II listed building took just two weeks and saw more than sixty, mainly locally based suppliers and contractors, participating in the work required. As well as the core boxing club – which will be able to build on its 150 young members, the centre now offers a range of activities including parents and toddlers groups, that sees the centre used each and every day.